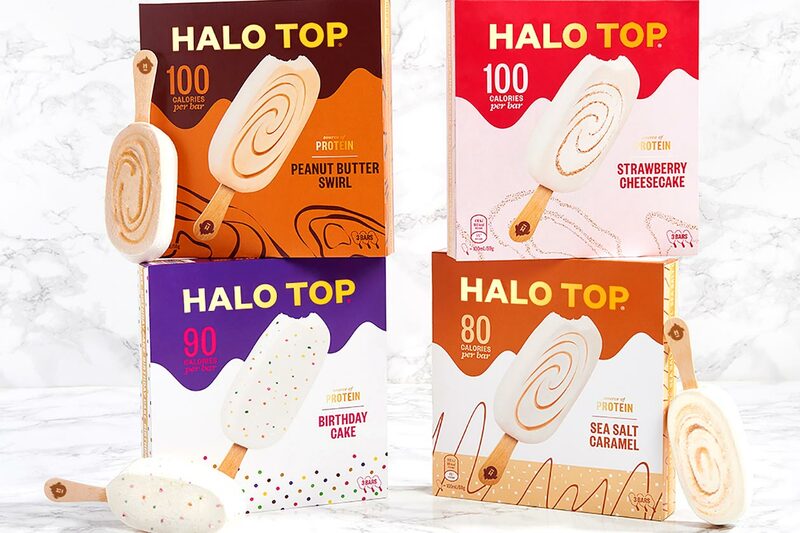 Halo Top has launched its Halo Top Pops in the UK this week, although they are a little different compared to the originals. Not only does the ice cream on a stick have a different family of flavors but it also doesn’t have the same nutrition profile or the same amount of pops per box. The macros on the product per pop do vary depending on flavor and start with a slightly higher amount of protein at 3.7g to 5.3g. The rest of its nutrition profile is made up of 12g to 15g of carbohydrates, 6.9g to 9.7g of sugar, 1.5g to 5.1g of fat, and a calorie count ranging from 80 to 100. As for the flavors Halo Top has launched for its Halo Top Pops in the UK, two of them are from its US menu with Strawberry Cheesecake and Peanut Butter Swirl. The other two are regular Halo Top tub options but weren’t available as pops until now with Sea Salt Caramel and Birthday Cake. Halo Top has said fans in the United Kingdom can now find its Halo Top Pops at select Tesco supermarkets across the island nation in boxes of three.